THE REAL TRUTH ABOUT YOUR TEETH: YOU RARELY NEED A DENTIST!!!!!! MYTH: You need to brush your teeth if you spend most of your time at home and are mostly alone without a spouse. TRUTH: Not brushing your teeth lets the smelly bacteria clean the plaque off your teeth so you don’t need any brushing!!! If you don’t need close social contacts and won’t offend anyone with your mouth odor then don’t brush your teeth and you won’t need a dentist anymore or at least very infrequently and only if you need a filling for a cavity. You won’t need dental insurance!!! Dogs and cats and animals in general don’t brush their teeth and eat soft or crunch bites of food and almost never need a dentist!!! The real scam artists are the dentists who give you a sales pitch about deep cleaning and twice a year plaque removal and regular brushing and flossing on a daily basis. The truth is that deep cleaning does more harm to the gums and teeth during the brutal process where frequently local anesthesia is used so you won’t feel the pain when the dental assistant brutalizes your mouth. Pain is a danger signal to your body. 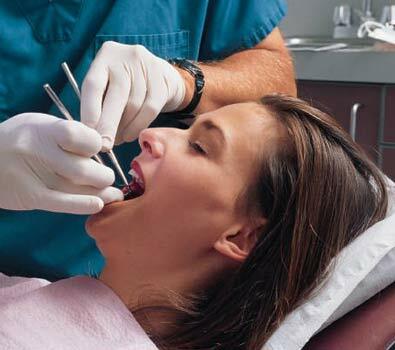 Don’t get any deep cleaning and waste your money on a harmful procedure which is unnatural. Teeth cleaning and bleaching enamel which makes the teeth more sensitive is unnatural and should only be used by celebrities and prominent people in leadership positions who want that white smile for the general public. It is a waste of money for the average human. Brushing your teeth every day removes the healthy bacteria in your mouth that naturally keep your teeth clean and brushing teeth with toothpaste is the cause of plaque and calculus accumulation!!! So stop brushing your teeth everyday if you possibly can. Your dentist is a huckster sucking money out of your wallet on a regular basis. When you have gingivitis in old age don’t worry about it and have the tooth removed if it starts to get wobbly and is no longer firmly held by your jawbone. Don’t get crowns and/or bridges and/or cosmetic surgery done in old age if you possibly can because it is a waste of money. I ruined three of my teeth with one deep cleaning procedure and biyearly cleanings which made my gums worse not better. I had to pull out three teeth one at a time and decided not to brush or go to the dentist anymore. The result is that I have a healthy mouth in old age with no more wobbly teeth or gingivitis with three missing teeth. Nature knows best!!! Your dentist knows nothing about the real cause of tooth decay because he or she is always recommending that you brush away the helpful bacteria which prevent tooth decay in the first place!!! Sugar is not the cause of tooth decay!!! Brushing your teeth is the real cause!!! Put a stop to your lying money grubbing dentist!!! This entry was posted in business, common sense, economy, education, globalism, justice, money, parenting, science, society and tagged brushing teeth, business, common sense, dentists, education, globalism, health, justice, medicine, money, parenting, science, society on January 30, 2013 by uldissprogis.